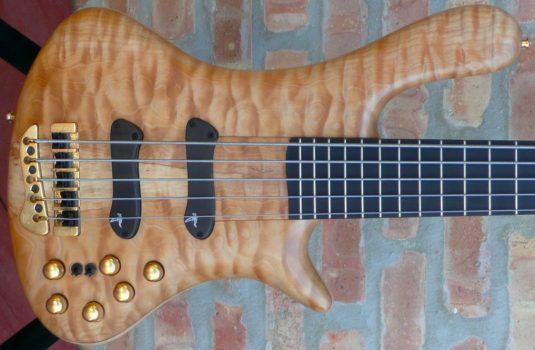 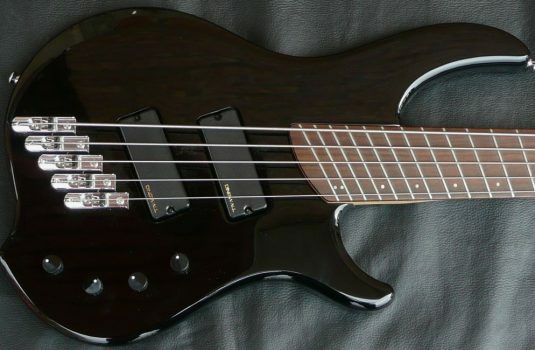 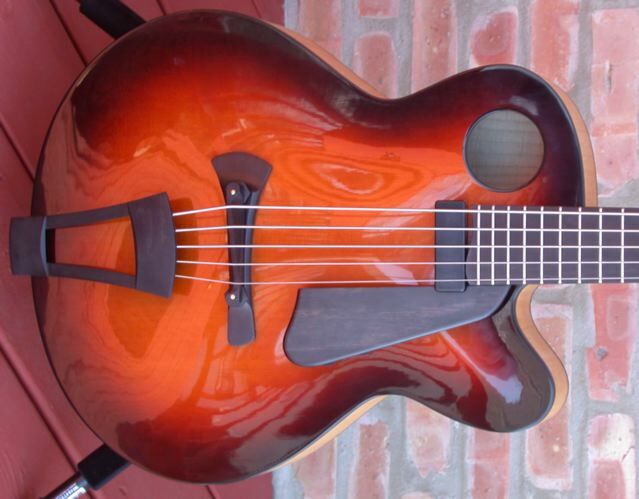 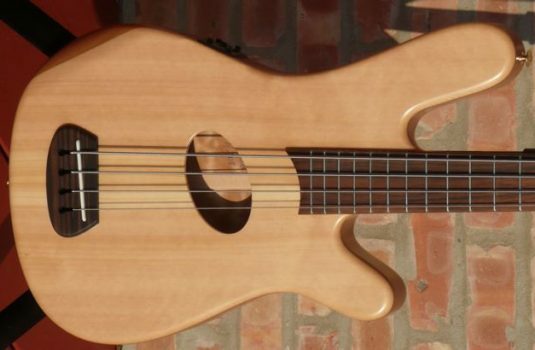 After the quick sale of the fretless 5 we had a little while ago, I thought “Why not a fretted?” I couldn’t come up with a good answer, so here we are. 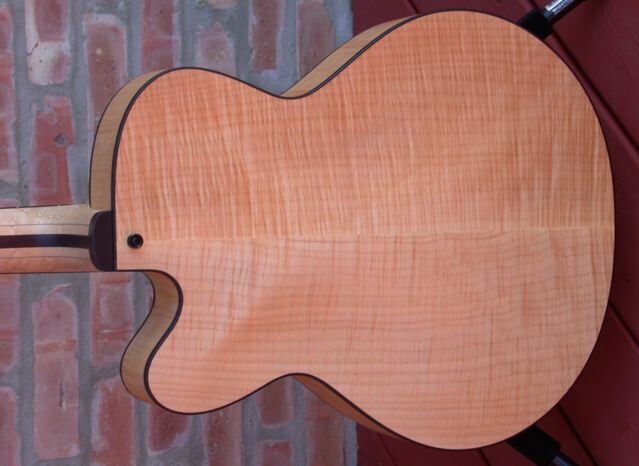 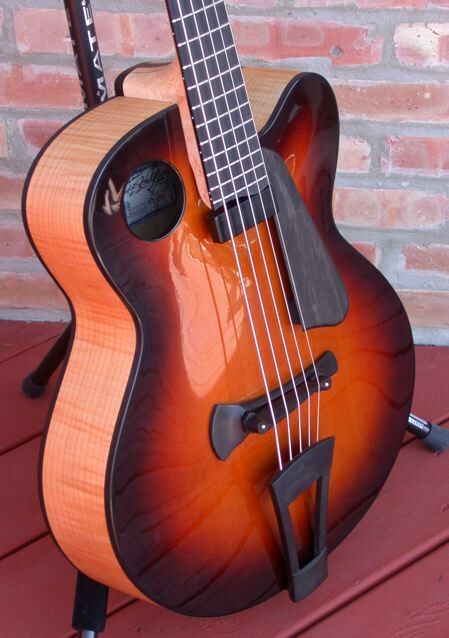 Made in the US by Tom Ribbecke, renowned for his arch top electrics, the Halfling series uses all solid woods. 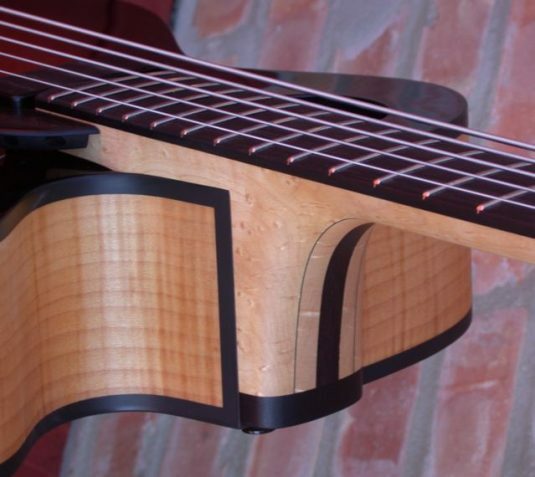 Flamed Maple sides and back, Spruce top , Birdseye Maple and Wenge neck, with an Ebony fretboard, height adjustable bridge and tailpiece. 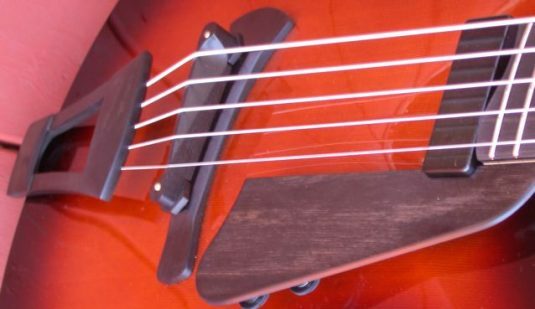 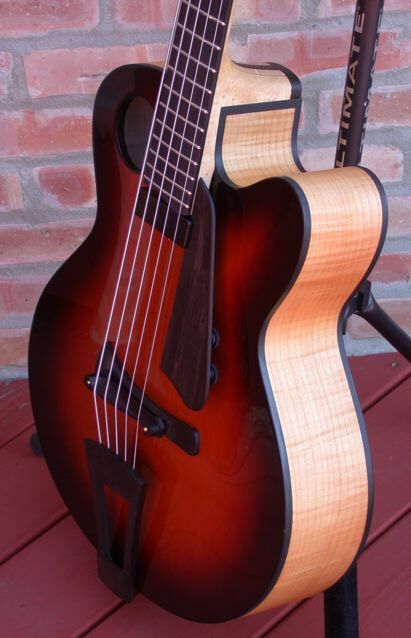 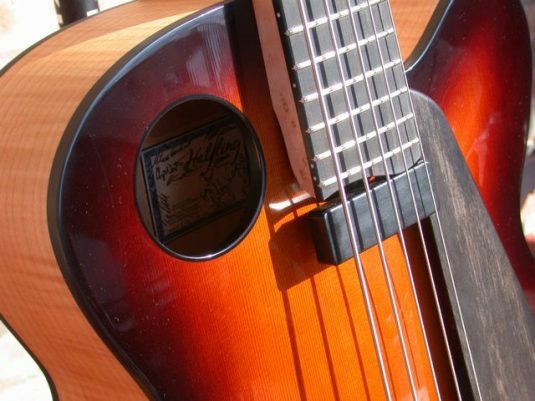 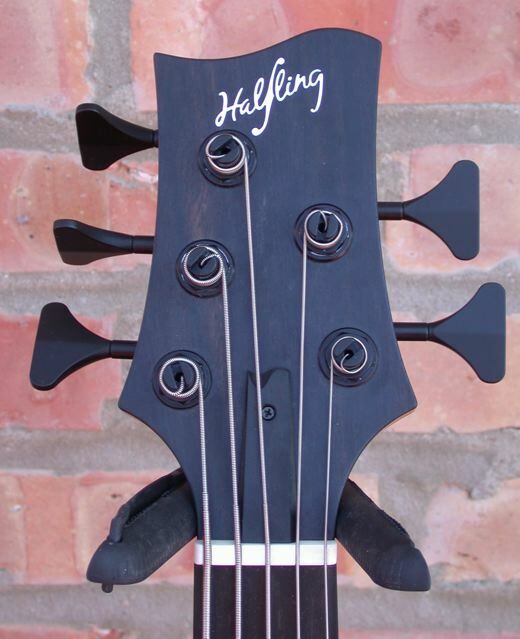 The name “Halfling” is derived from the design of the bass’ top with the bass side flat, as on a steel string or classical guitar, while the treble side of the top is arched, like on a fine jazz box. 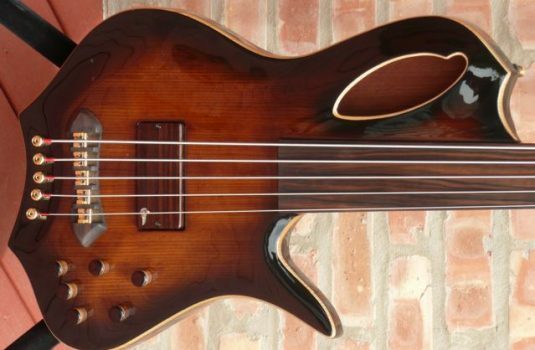 This design has been in the works for a few years and is the result of a collaborative effort between luthier Tom Ribbecke and bassist Bobby Vega. 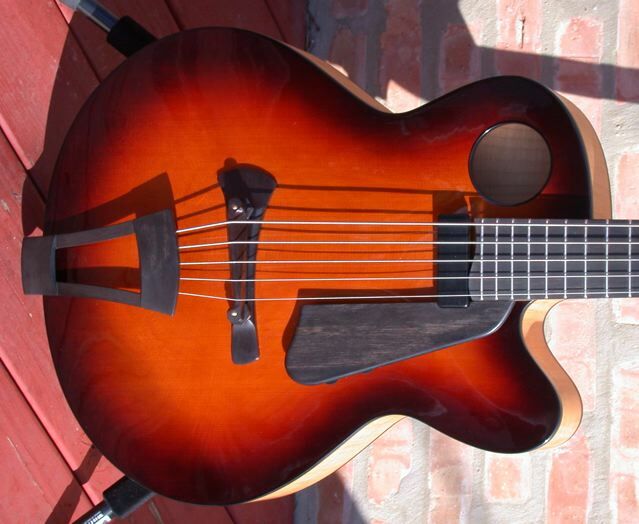 The result is a very articulate bass with great dynamic range, capable of subtle nuance.